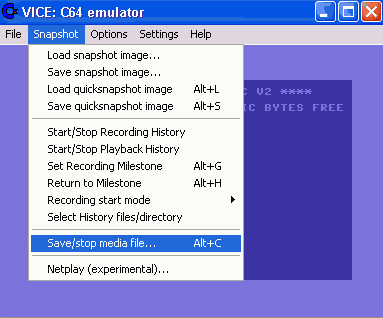 A d67 file extension is related to the VICE emulator and used for its disk image files. What is d67 file? How to open d67 files? The d67 file extension is associated with the VICE (Versatile Commodore Emulator) an emulation software of various computers developed by Commodore. The d67 file stores disk image captured from any Commodore storage medium (cassette, floppy disks, etc.). VICE is a Versatile Computer Emulator, i.e. a program that runs on a Unix, MS-DOS, Win95/NT, OS/2, Acorn RISC OS or BeOS machine and executes programs intended for the old 8-bit computers. The current version emulates the C64, the C128, the VIC20, all the PET models (except the SuperPET 9000, which is out of line anyway), the PLUS4 and the CBM-II (aka C610). Use VICE to work with *.d67 files. and possible program actions that can be done with the file: like open d67 file, edit d67 file, convert d67 file, view d67 file, play d67 file etc. (if exist software for corresponding action in File-Extensions.org's database). Programs supporting the exension d67 on the main platforms Windows, Mac, Linux or mobile. Click on the link to get more information about VICE for open d67 file action.